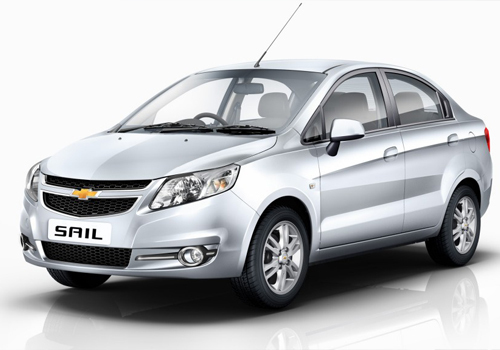 The Chevrolet Sail UVA is already in and putting Maruti Swift in tizzy already and as per the latest buzz, its sedan avatar Chevrolet Sail will be launched in February. This new revelation came after the car has been spotted at the ongoing Detroit Auto Show. Developed by Chevrolet’s Chinese hand SAIC while the Indian model will be taken care of completely by Chevrolet at its plant with high level of localization to keep the price down. Meanwhile, the Sail UVA early sales figures have been quite promising and it is said that people have liked its extra space, comfort and mileage delivery besides performance well. The Sail sedan price in India is expected to be around Rs 5 lakh to Rs 7 lakh. It is believed that the unveil at the Detroit Auto Show is a hint that the car is ready to hit the emerging markets such as India and so experts believe that it is only few weeks away from India. Destined to be launched in petrol and diesel variants, the Sail sedan will be competing head on with Swift Dzire and Tata Indigo CS. It is believed that by the time Sail will settle in India, another compact sedan is underway and it is Mahindra Verito CS. It is quite possible that the SUV maker will also be giving the compact version of Verito a new name and somewhat new look. Information available about Sail sedan specifications and features suggests that the car will have the same 1.2 L petrol motor and the 1.3 L multijet diesel engine options. A more powerful petrol variant could also be launched. The top model of the car will be equipped with a lot of features and some of the segment first as well so that Chevrolet can distinguish it from other cars.